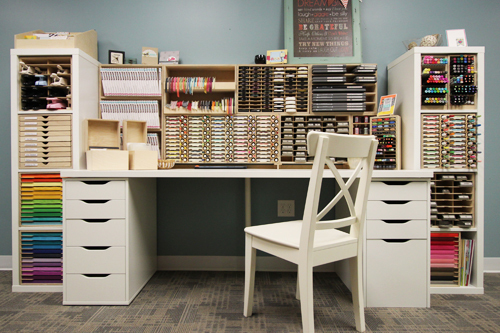 Our August Studio Showcase winner, Mallory, recently moved into a new home and was super excited to turn the main floor office into her craft space. Her previous space was a shared guest bedroom. This meant her crafty corner was a white plastic folding table that could easily be taken down when guests arrived. Her new space would be dedicated to her crafting and Mallory wanted it to be organized and efficient. "The First thing I knew I needed was an actual desk to replace the folding table. I added a corner L-shaped desk with a hutch, which allows me to keep everything at my fingertips and makes my limited crafting time much for efficient" Mallory says. Mallory also received some organization inspiration from her Stampin' Up!® sponsor during a craft class. "I was in awe of her craft room. She had everything organized and neatly displayed...paper, inks, markers, stamps, punches and more. It was a crafter's dream! When I asked her about it, she went right to her desk and pulled out a Stamp-n-Storage catalog for me to take home. 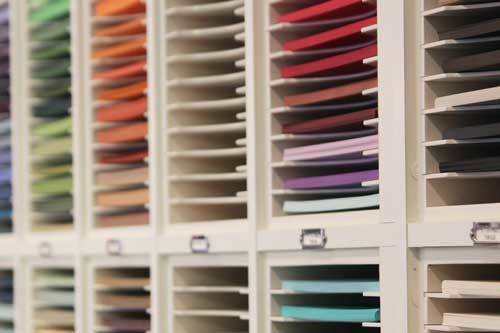 I knew right then that I needed more space for crafting and that Stamp-n-Storage had to become part of that vision." To get started on her organization journey, Mallory first purchased the Stamp-n-Storage Medium Starter Kit. This allowed her to get several key products at a discount due to the bundle. 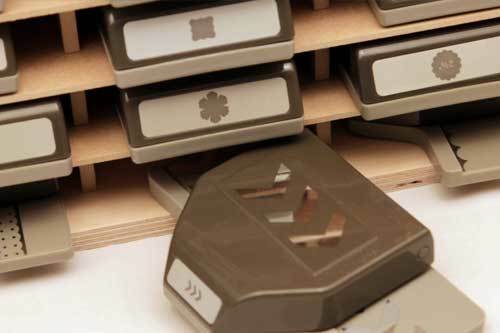 The Starter Kit included a 36 Standard Ink Pad Holder, Standard Lock-Down Punch Holder, Marker Nook, Medium Wafer Die Tote with 5x7 Magnet Cards and 6x7 Magnet Cards, Medium Emboss Tote and Kickstands. Mallory later added another 36 Standard Ink Pad Holder for her growing ink pad collection. They stack on top of her Lock-Down Punch Holder. "I love having my ink pads and punches right at my fingertips while crafting " she says. Mallory also keeps her markers easy to access near her inks and punches. 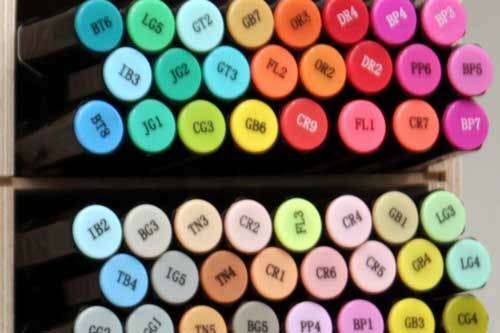 "I love the Marker Nook because it fits my Stampin' Up!® markers perfectly, plus I can fit other markers, pencils and coloring tools as well. I'm impressed with the number of items the Marker Nook will hold." Maximizing space was extremely important for Mallory. The Kickstands gave her the additional desk space for some of her smaller tools. "My desk would not be near as functional without the Kickstands. 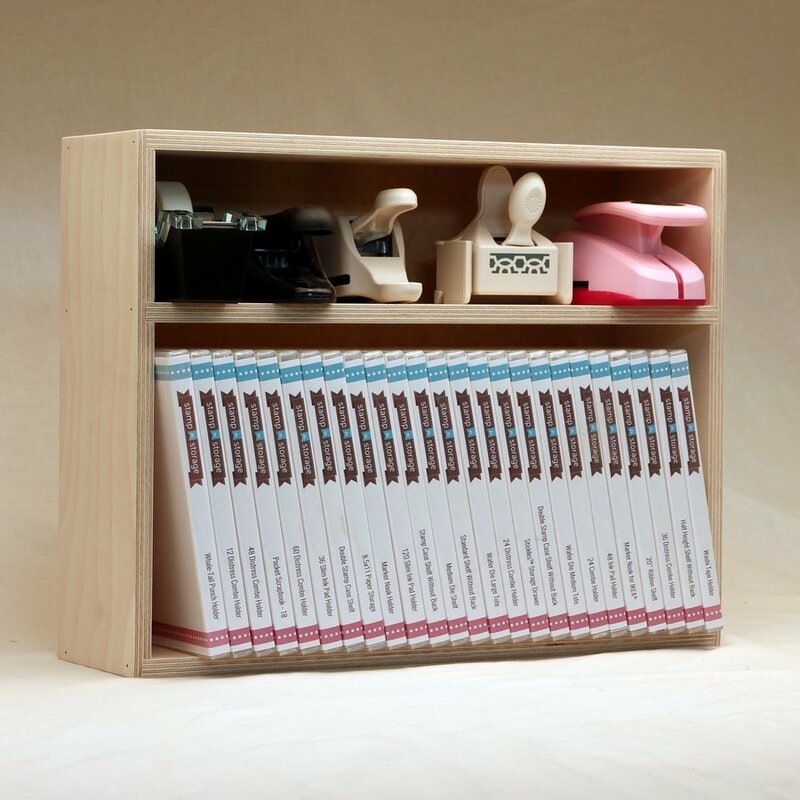 I love being able to slip my paper trimmer under the units which gives me so much more space for crafting!" 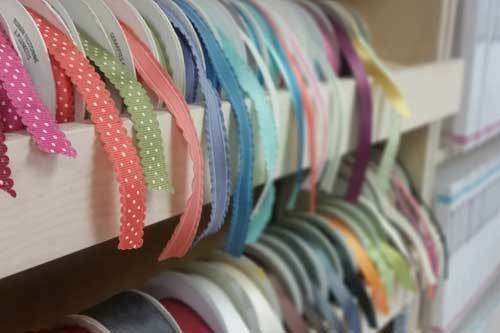 When it came to organizing ribbon, the 33" Ribbon Shelf was a great option. "I love being able to easily grab the ribbon I need without disturbing any of the others. Everything stays organized, and having them all displayed shows me the options I have without having to rummage through stacks of ribbon. I can't believe I went so long without this!" 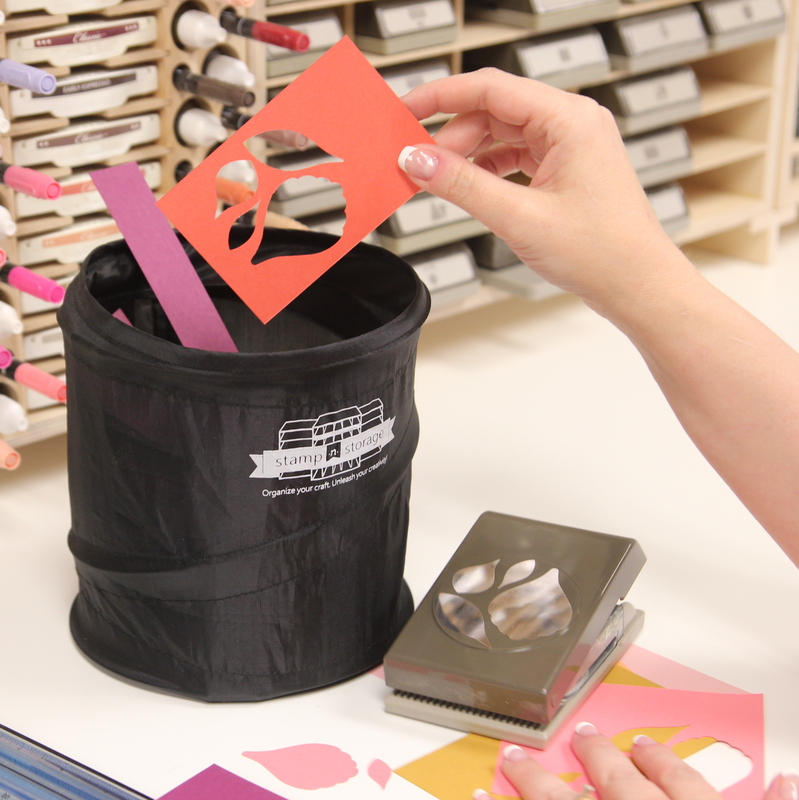 Mallory was introduced to the Stamp-n-Storage Magnet Cards when she purchased her Starter Kit. "I honestly don't know how crafters use their dies effectively without Magnet Cards. 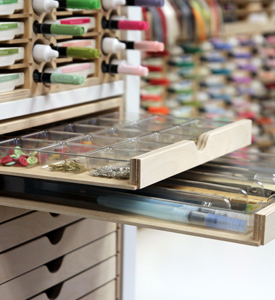 For me, I needed the dies to be neatly organized, easily accessible, and safely stored. 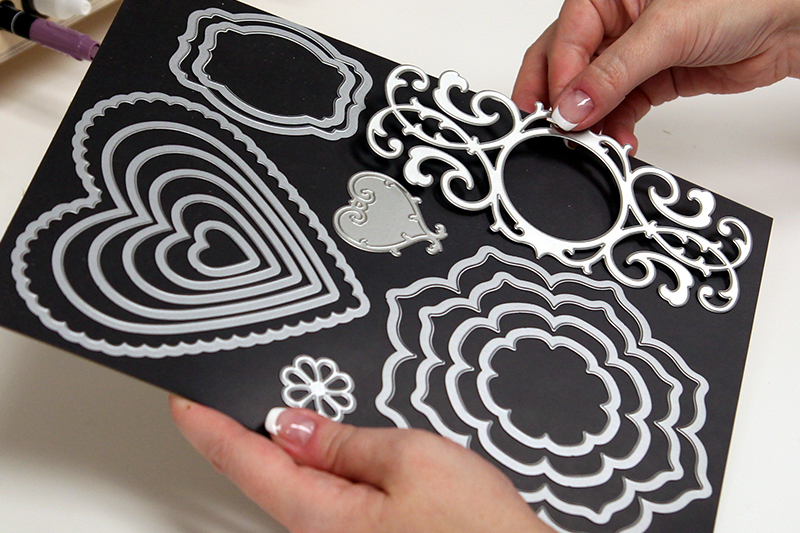 The Magnet Cards and coordinating Wafer Die Tote are perfect for this." 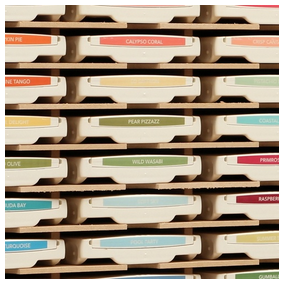 The Double Stamp Case Shelf holds all of Mallory's Stampin' Up! stamp sets. 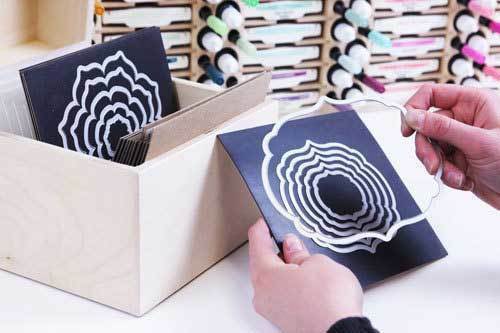 "They fit perfectly and I am able to see all of my stamps at once, and quickly grab what I need to keep the creativity going " she says. 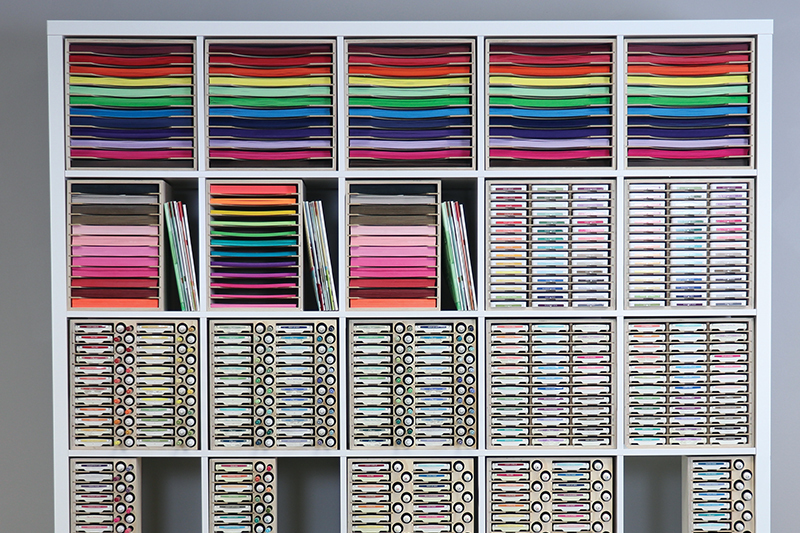 "Organization is so critical. When you have everything organized and you know what supplies you have, you can easily see/reach it, and you have efficient space to work. The creative juices just start flowing and you can't stop!" Thank you for sharing your beautiful space with us Mallory! Would you like to be our next Studio Showcase winner and have the chance to receive $75 in store credit? Here are a few hints: clean up your space, snap some photos (4 or more) from a few different angles, and include some comments about what you love about your area and your Stamp-n-Storage products. Then, you will be entered into our monthly drawing. Email your entry to: contact@stampnstorage.com.